It might seem like a small habit, but it could make a big difference in the longevity of your vehicle’s running-life. Some driving habits can cause serious damage to your vehicle without you even knowing that you are doing it. Riding the clutch: This will cause the clutch plate to deteriorate much faster which could result in a costly clutch failure. Traffic is the number one reason when it comes to riding the clutch. Try and avoid this by working the accelerator and handbrake or brakes in traffic. Imbalanced wheels: Imbalanced and unaligned wheels lead to unnecessary wear and tear on the tyre and it is bad for the suspension. This could also affect the vehicle’s controls by weakening their results which could result in dangerous situations. Additional baggage: Did you know that additional weight has an impact on your fuel consumption? Extra weight affects your fuel consumption and puts unnecessary stress on certain parts of your vehicle, especially smaller vehicles. Remember to check your vehicle’s loading capacity, which you will find in your manual, before loading up. Skipping a service: Regular servicing assures that your vehicle’s performance will remain at its best. By not taking your vehicle for its service when it is due you might decrease the lifespan of certain parts, this could result in voiding the warranty (if you have one) or be a safety risk. Riding your brakes when going downhill: Using the brakes for an increased period could lead to brake pad glazing which happens when the brakes are overheated and crystalised materials start to appear on the brake pads and disks. This can cause poor brake performance, vibrations and cracks in the brakes. Incorrect tyre inflation: If your vehicle’s tyres are underinflated this will eventually result in more of the tyre’s surface contacting the road, which causes increased friction. This may lead to the tyre’s having less stopping ability as well as damaging the internal structure of the tyre. Overinflated tyre’s may lead to less traction while driving which can affect braking and the vehicle’s handling as less of the tyre’s surface is contacting the road. Both scenarios can be fatal. Revving your engine: The fluid within your engine needs to warm before the engine can perform at its best. Unnecessary strain is placed on the engine and the parts if you start revving before the engine has warmed up properly, this can lead to premature weakening of the engine. 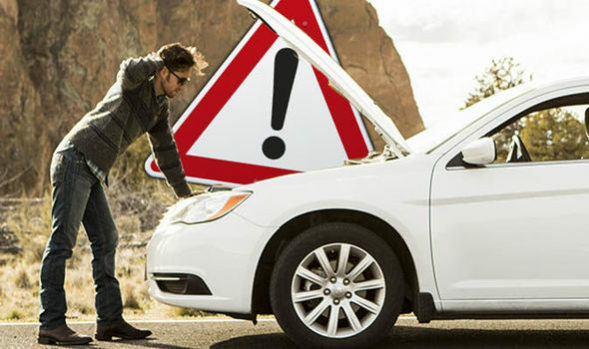 It is advised that you let your car idle before you take on the road. Not using your handbrake: Not using the handbrake when parking on an incline puts extra strain on your vehicle’s transmission. This can lead some of the components not working at optimal standard. The person behind the wheel is responsible for the vehicle that they are in control of. It is of utmost importance that he or she pays attention to the vehicle and its condition. Not only can this save you a few bucks, but also ensure that your vehicle is well looked after. At WP Motors we sell quality vehicles at affordable prices and we can arrange for 0% deposit finance. We can also give advice about your future vehicle. Let us help you today.